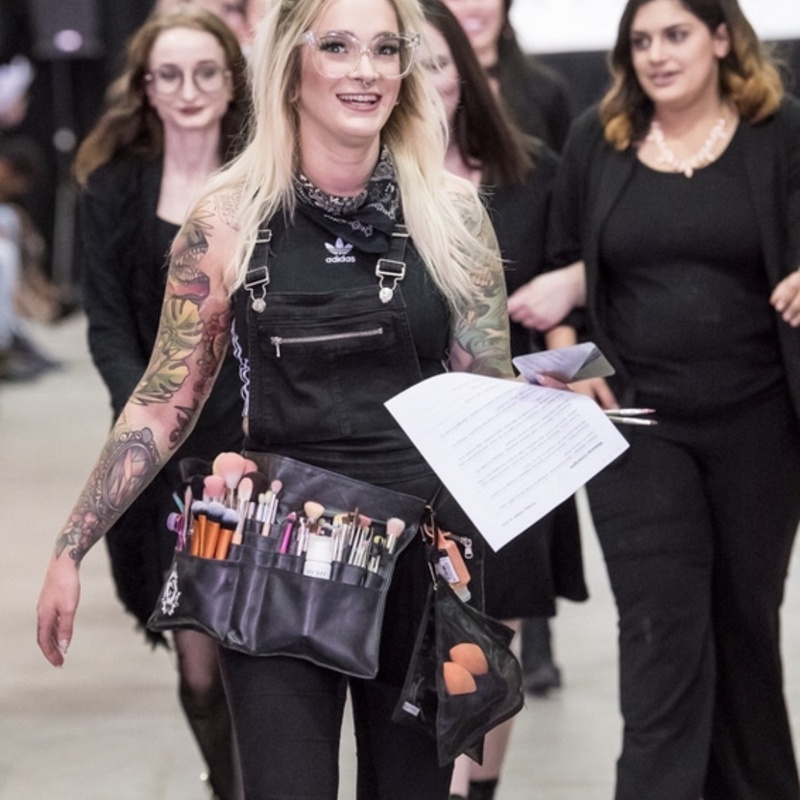 We sat down with HDC Makeup Educator, Elle Munster, who was the key artist for Atlantic Fashion Week to hear what the experience was like for our students who got to go along for the ride. 1. 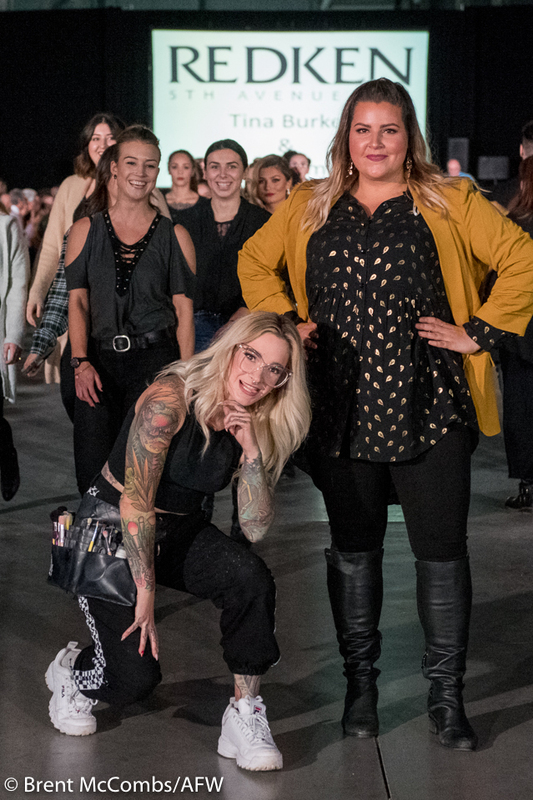 How did you get involved with Atlantic Fashion Week (AFW)? I started out just like my fellow students. I worked my first fashion show 7 years ago, where all I did was clean brushes and made sure the models, makeup artists and hairstylists had water – talking and networking with new people. I was brought back the next year as an artist. 2. How did you prepare for AFW? Prepare for the inevitable. A makeup artist is the one person everyone will come to for that random item: band aids, Tylenol, a needle and thread. It really doesn’t hurt to bring the whole kitchen sink. A stylist’s mind could change on what they want for their looks so quickly. Making sure you have a clean, organized and well-stocked kit for every skin type will help you amongst the chaos. 3. Is it as glamorous as the magazines make it look? Well, working backstage takes a certain type of person. Someone who works well under pressure, time restraints and can communicate clearly and positively. But the creative freedom and the incredible family you form with your team really keeps you going. The hours start long before the models hit the runway, and the changes continue backstage after each showcase. 4. What is your go-to product to use on your models? I am a huge believer in skin prep, if your model is on day 3 of AFW their skin most likely needs extra hydration and a boost. I like to keep the skin looking natural and healthy so MAC Face and Body or MUFE Ultra HD are my go to’s for keeping the skin looking fresh and not feeling too heavy. 5. Tell us about your favourite look that you created? This year, I felt extremely lucky to work with multiple creative designers who allowed me to use my creative freedom: Haus of Kirby, Art Pays Me and Bzly. 6. What is your favourite part of working a fashion show? I love the chaos, the energy, the camaraderie and the opportunity to meet and network with new creatives for future projects. 7. How did your students get involved in AFW? 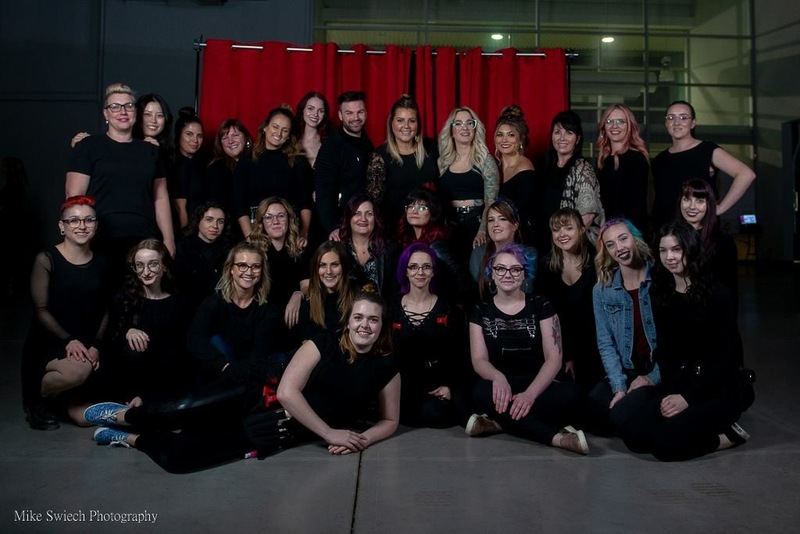 The past two years, HDC students and past graduates have been given the opportunity to experience the event hands on, with the guidance of their instructors: Kiara Ardelli and myself. The show wouldn’t be able to go on without their help. We can have anywhere from 80-120 models each night. 8. How many students did you take with you? This year we had 10+ students and 10+ alum join our team each night. 9. How does the HDC prepare students for runway work? 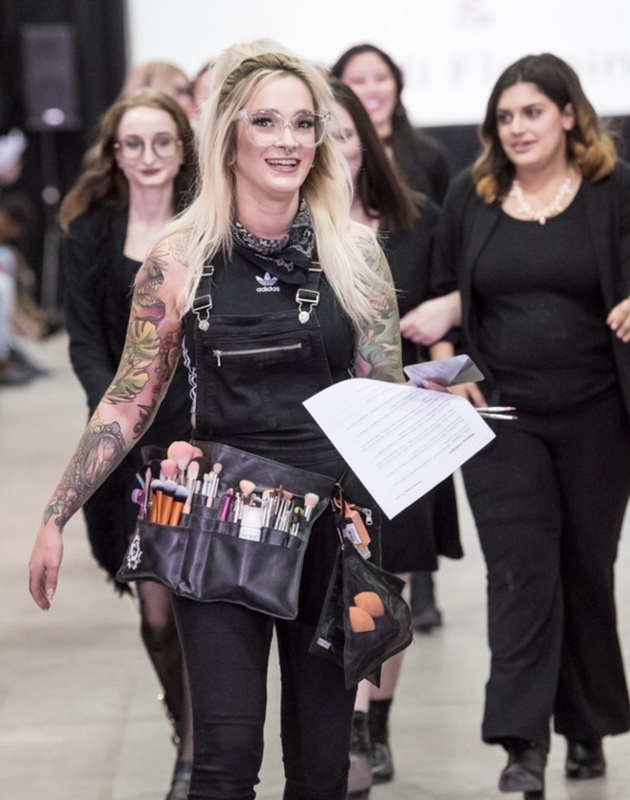 I am given the designers’ desired looks a week or more before showtime, so we can brief the students on what to expect and have a hands-on practice day on each other before working on the models. We also work to build up their confidence and timing to train them for real world experiences – not just backstage but for the high paced lifestyle of a wedding and prom artist. 10. Is it common for HDC students to get runway work straight out of school? 100%. We keep all our graduates on retainer and reach out with opportunities once they’ve graduated. Even during the program there is a chance to work on a show. Kiara is the key artist for the NSCAD designer showcase, we work with DAL and with our roster of creatives the opportunities are endless. Shoppers galas, film and television daily work, Sephora brand ambassadors, MAC events etc. We really set our students up to success after they leave us. 11. What sort of advice would you give to aspiring makeup artists – those who dream of being backstage? Network. Get yourself out there and work with as many creatives as you can. Build up your dream team. Reach out to other makeup artists, gain experience by assisting – the knowledge you can gain from shadowing someone is incredible. Confidence comes with time, it grows from your mistake so work as much as you can within your field. 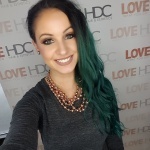 If you would like to learn techniques and skills from an internationally published makeup artist like Elle Munster then you NEED to enroll in the HDC Makeup Artistry program.